JFC ex-CEO Kekhman goes bankrupt in Russia | Russian Legal Information Agency (RAPSI). MOSCOW, December 18 (RAPSI) - The Commercial Court of St. Petersburg and the Leningrad Region has declared former executive of JFC company Vladimir Kekhman bankrupt, according to court records. A bankruptcy claim was filed by Sberbank that claims Kekhman’s debt to be 4.4 billion rubles ($62.3 mln). Interestingly, London's High Court ruled that Kekhman was bankrupt in October 2012. By the time he presented a debtor's petition seeking a bankruptcy order his assets consisted of £200,000 in cash, land in St Petersburg valued at £4.3 million, a Mercedes-Benz in Russia and a Bentley in France. He had 19 unsecured creditors totalling about £316 million located in Russia and 23 bank accounts, three of which were arrested. 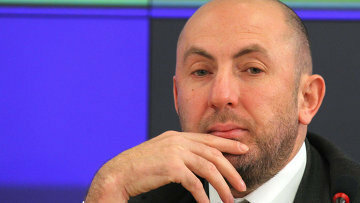 Kekhman is currently leading Novosibirsk Opera and Ballet Theater and is holding a position of the St. Petersburg’s Mikhailovsky Theatre's artistic director. Established in St. Petersburg in 1997, JFC Group comprises fruit production, procurement, storage, distribution, and sales companies. Its ultimate holding company is JFC (BVI) Limited, which operates through companies in Russia, the British Virgin Islands, Costa Rica, Cyprus, Ecuador, Luxembourg and Panama. JFC Group filed for bankruptcy in March 2012 and consequently entered a period of supervision. By that time its debt claims amounted to a total of 18 billion rubles ($255 million). 10:34 18/12/2015 The Commercial Court of St. Petersburg and the Leningrad Region has declared former executive of JFC company Vladimir Kekhman bankrupt.